To say Liverpool demolished Watford on Saturday would be putting it lightly. With the scoreline ending 5-0, the Merseyside club very well took the challenge to the now 11th placed side. And as usual, it was Mohamed Salah who took the star position for the day. This time around, the prolific scorer was adamant to compensate for his lackluster performance against the Red Devils, and with no Ashely Young to pocket him, four goals were easily found by the Egyptian. This took his overall tally in the Premier League to an impressive 28, and he added to his series of gorgeous goals. However, the opening one of these might have had something even more special to it, as a closer look would reveal. 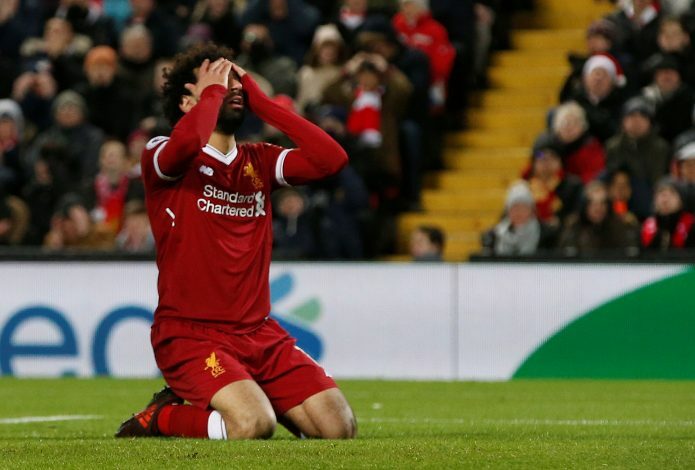 A mere 4 minutes after kick-off, Salah was seen giving a headache to the Watford defense, and his cleverly placed ploys ensured that goalkeeper Karnezis couldn’t do much to stop the ball from reaching the back of the net. Even before that, Britos was properly schooled in the build-up. Apart from winning the hearts of the home fans, the goal was also eerily similar to the one that Lionel Messi scored back in 2015 against Bayern Munich. Being a crucial Champions League encounter, the goal had the added brilliance to it due to Boateng being sat down by the Argentine. A side-by-side comparison of the two goals certainly proves this point, and the similarity is unmistakable. Of course, Watford isn’t Bayern Munich, and Salah still has quite a few more goals to go before he can be on par with the Barcelona superstar. But despite that, what this goes on to show is how much the 25-year-old has developed over this season alone. With over 7 weeks of football still left in both the elite competitions, the tally of well over 30 goals seems destined to reach the next tier.